A new family movie is always wrapped and put under our Christmas tree each and every year! It's a holiday tradition that started when I was a child, and now I'm carrying on that same tradition with my children. As a mom, I love seeing the magic and spirit of the Christmas season through the eyes of my children. They make me take a step back and enjoy even the simplest things; Christmas lights, holiday posters, and even the scents of the season. Lets not forget the most magical person during the holiday season... SANTA! 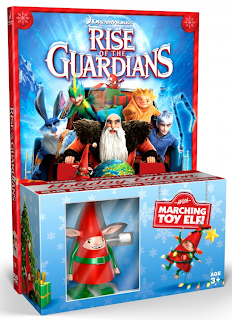 DreamWorks' newest animated adventure has captured the imagination of audiences worldwide with a fun-filled and magical story about the legendary guardians - Jack Frost, the Easter Bunny, Santa Claus, the Tooth Fairy and Sandman - together for the very first time. When the evil Pitch threatens to take over the world, it's up to our beloved heroes to protect the hopes and dreams of children everywhere. Filled with non-stop action and laughs, Rise of the Guardians is a dazzling family film that's being hailed as "an instant classic." 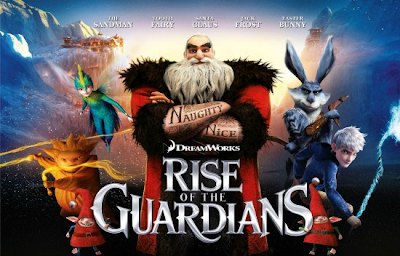 After watching Rise of the Guardians, you will believe! I received a free Rise of the Guardians screener DVD. No compensation was received. The opinions expressed are my own and not influenced in any way.